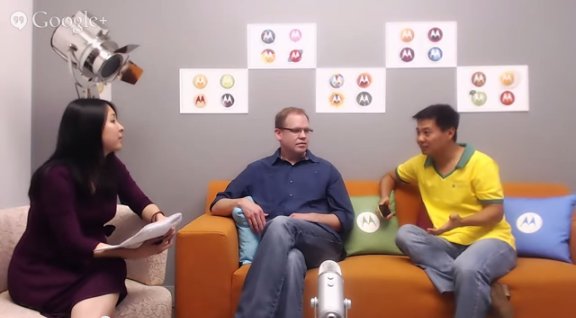 Last week we hosted our Moto E Hangout on Air, and your questions and comments had an energizing effect on us. It inspired us as we’ve worked on the most recent slew of updates. These have included Help, Contextual Services, and even Alert, which we’re expanding after just announcing it two weeks ago. More languages for Motorola Alert - After launching Motorola Alert on Moto E a few weeks ago, we added seven more supported languages with this latest update. This increases the number of additional languages and dialects supported from 28 to 35, adding support for Nordic languages, as well as for Arabic and Hebrew. Under the hood optimization - We’ve made some under-the-hood improvements to Motorola Contextual Services and Motorola Modality Services, which power many of the experiences in Motorola Assist. Look forward to some news coming for Assist soon! A new design for Help - We built Moto E with the idea of increasing access to smartphones for people everywhere. To welcome our new users, we thought we’d make Motorola Help even easier to use. This new update provides a new, cleaner home screen design that’s easier to navigate. We also added new topics specifically geared toward providing information for new Android users (welcome!). Kernel Sources for Moto E - We are happy to announce the kernel sources for Moto E and RAZR-M/HD (Android™ 4.4.2, KitKat®) are now on Github. Knock yourselves out! Many of these updates were inspired by feedback from you. We really value your feedback. So, please tell us what you think on Google+, Facebook, and Twitter using the hashtag #askMoto. You could say it’s been an exciting past few weeks for us at Motorola. Just days ago, we hosted launch events in six countries across the world to introduce the latest addition to our smartphone family, Moto E.
But we’re not stopping there. We want everybody to have the chance to learn more about Moto E. That’s why we’re hosting a Hangout on Air next week Thursday, 5/22, at noon PT. VP of Product Marketing Steve Sinclair and Product Manager Bill Park will be here to answer your questions about Moto E’s hardware and software experiences. This is your chance to ask questions, share comments, and converse with our product experts in real time. To submit your question, all you have to do is include your question or comment on our Google+, Facebook, or on Twitter using the hashtag #AskMoto. MMS with Motorola Connect - Now you can do more with Motorola Connect, the desktop extension that allows you send and reply to texts from your phone. The new update lets you receive and reply to pictures and group messages (MMS) from your computer, so you can stay on one screen instead of juggling many. This is in addition to other enhancements, like contacts matching and number formatting. Seasonal startup animations! - We launched two new startup animations recently for Moto X and Moto G globally. Which one your phone gets depends on the season for your hemisphere. So, for example, if you’re in Sao Paulo you will enjoy a fall bootup animation, while those in San Francisco will see a spring one. They’ll swap when the season changes. Find peace of mind with Motorola Alert - We all have people in our lives who care about us and want to know that we’re safe. 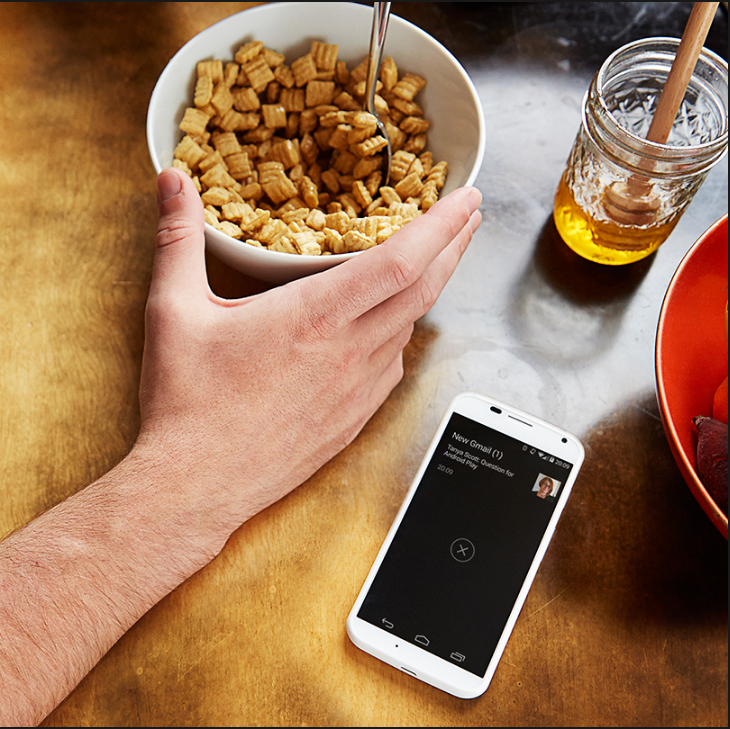 Motorola Alert will put them at ease by keeping you in touch with your closest contacts. This new software experience does three things: 1) Automatically alert those closest to you when you’ve left or arrived at a specific location; 2) Send an SMS to close contacts when you want them to meet you somewhere or if you want to keep them updated on your location periodically; 3) Quickly sound an alarm when or speed-dial an emergency number that you set up in an emergency. Alert will be available first on Moto E and will be coming to other devices soon via the Google Play Store. SIMS get smarter - As another example of Motorola experiences that solve consumer problems, we created a solution for our dual SIM devices which are available in several key markets. With Moto E, we’re introducing Dual SIM with intelligent calling. This new feature learns from your patterns of use and automatically selects the preferred SIM when calling a specific contact. For example, if your call history shows that you always use SIM 1 to call your parents, Moto E will make sure to automatically use SIM 1 whenever you call them. In Brazil, we’ve taken this experience even further. Dual SIM with intelligent calling will automatically select a SIM based not only on your usage pattern, but also on your contact's carrier. Read the FAQs to learn more. Let’s not end the conversation here. Ask us your questions and tell us what you think for the Hangout on Air Next Week. Looking forward to seeing you all there. Motorola was the first company to bring consumers the cellular phone, the flip phone and a really, really thin feature phone. Now we want to radically transform the mobile industry once again by making quality smartphones that can do great things available to practically everyone. Nine months ago we launched the Moto franchise and flagship Moto X, which brought new value to smartphone buyers through exclusive experiences like Touchless Control and Moto Maker, and the fastest software upgrades in the industry. Then we introduced Moto G, an exceptional phone at an exceptional price and now the best selling smartphone in Motorola history. Now we’re pushing the boundaries of the value equation even further with Moto E, a new class of smartphone that’s fully loaded and fairly priced -- a perfect combination for savvy shoppers and first-time smartphone buyers. Because smartphones haven’t always come at smart prices and we believe that people shouldn’t have to compromise on quality, style or experience. The fact is, about 70% of mobile phone users in the world are still using feature phones that can’t unlock the full wonder of the mobile Internet, in many cases because they don’t think it’s worth the $337 for a smartphone (the average selling price globally in 2013). We believe it’s time the feature phone era came to an end and that quality smartphones are made accessible and affordable for all. Say hello to Moto E and join us in officially saying goodbye to the feature phone forever. Moto E: Made to Last. Priced for All. Moto E has a high-resolution 4.3” display with 256ppi, the sharpest in its class. Everything from photos to videos to web pages comes to life in brilliant detail. Plus, Corning® Gorilla® Glass and a water-resistant splash guard help protect it for lasting durability. With a long-lasting 1980 mAh battery you can go all day without plugging in.1 So you can think about everything you want to do, not how much time you have to do it. 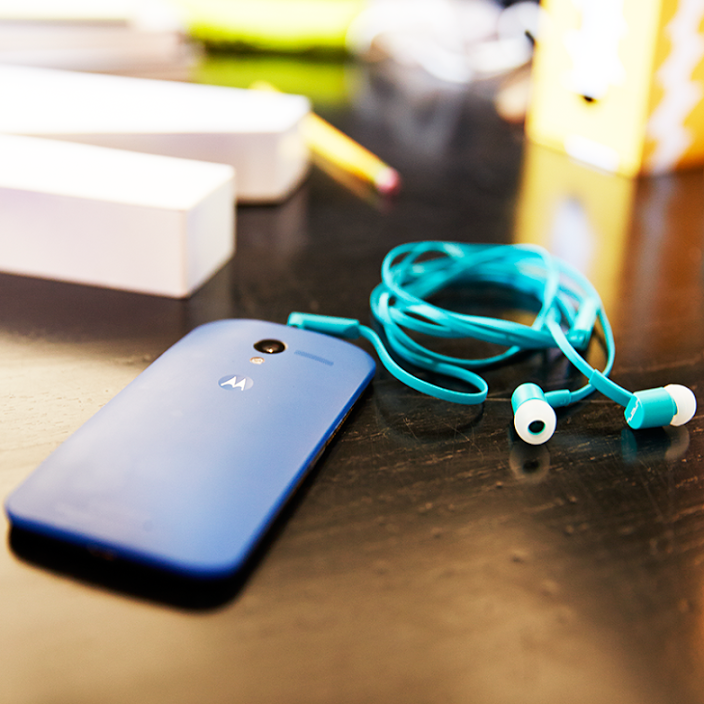 Moto E runs Android™ 4.4.2, KitKat®, the latest version of the world’s most popular mobile platform. And with a guaranteed upgrade,2 you’ll know you’re always up to date with the best Android experience. Qualcomm® Snapdragon™ 200 processor with up to 1.4GHz dual-core CPUs for high performance power, superior mobile graphics and exceptional battery life. 5MP rear-facing camera with Motorola’s streamlined camera interface; touch anywhere on the screen to take a shot, capture panoramic pictures or record video. microSD slot for up to 32GB of expandable memory to save photos, videos, music, movies and apps. Built-in FM radio -- just tune in to listen to your favorite stations or pick up a new signal. And the best part -- it’s priced starting at just $129 on Motorola.com with no contract. Moto E will be available in more than 40 countries through more than 80 carrier partners around the world over the next few weeks. 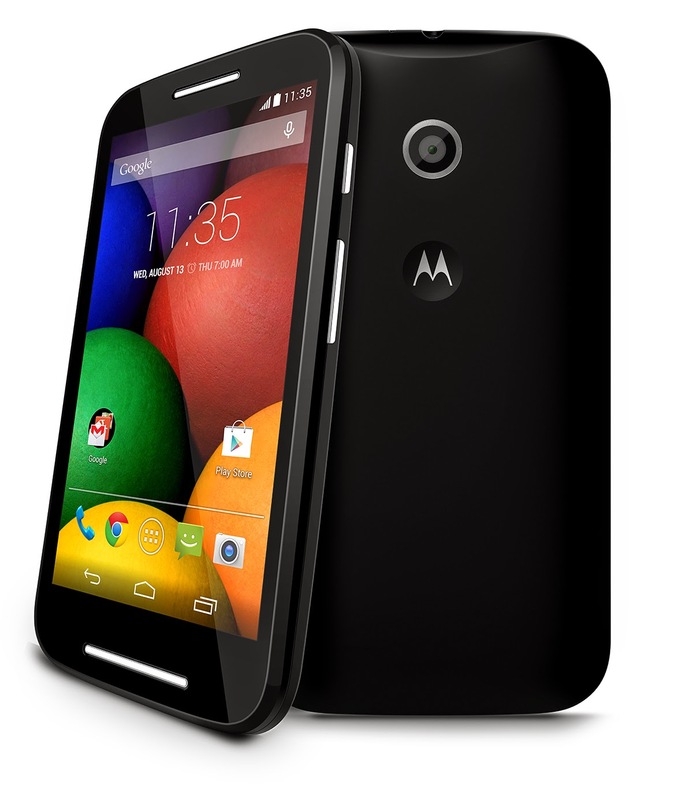 We’re also offering an upgraded version of our popular Moto G, featuring 4G LTE. Same great features now on the fastest networks where available, for just $219. The original Moto G continues to be available for $179 on Motorola.com without a contract and through local carriers in more than 40 countries worldwide. Learn more about mobile Internet access, feature phone usage and the desire for affordable smartphones around the world here. Share your memories of what life was like before smartphones, while helping your family or friends say #GoodbyeFlipPhone and hello #MotoE here. selected, and voice, data, operating temperature and other application usage patterns. 2The device will receive at least one software update to the current KitKat 4.4.2 operating system. 3Motorola Shells sold separately. Colors and availability vary by market. For a long time, touchless voice control was considered the holy grail of mobile devices. We knew it would make the experience on our phones irresistible—for our users driving in the car, cooking in the kitchen, glued to the TV watching that last episode of Breaking Bad—or whatever other reason you have for not wanting to pick up your phone. We learned a lot in the process of building it. Everyone is different—especially in the way they speak. We set out to build a deeply personal, super useful phone experience for our users—and we quickly realized that for a device to recognize a voice command, we had to consider all of the different dialects across the world that our phones support (English, Spanish, Portuguese, French, German, and Italian). For every language, we gathered 100-200 people of various genders and regional accents to help us build a reference dictionary. This dictionary would provide the foundation for the technology. Then we tested the software against audio clips from TV shows. The last step was ruthless trial and error until we could refine the product to work for everyone. It turns out, to make something truly personal, you do have to make it work for everyone! Toys can yield insight. Touchless Control was the first hands-free voice control ever offered on a mobile phone. So during the development phase we tried to find products in other industries that used similar voice command technology. We found two, both in the toy industry: a blue, one-eyed Alien alarm clock that could listen to you speak and a little Christmas ornament sold on TV that would automatically play holiday songs when you called out to it. A good toy provides endless joy. It’s all in the trigger. The trigger—or the “OK Google Now” phrase that activates Touchless Control—is a crucial cornerstone in getting always-on software to work. It had to be very distinctive, so it wouldn’t be confused with other ubiquitous phrases used in everyday conversation, and it had to be easy for the device to pick up. In linguistic terms, this meant the trigger had to be at least four syllables (ideally at least five) and include unique sounds. We worked with several professional linguists and tested dozens of potential triggers. Some random words like “magic” and “genie” performed really well. But ultimately “OK Google Now” worked the best and made sense for our Android-based software. Some women tend to say their w’s with an h. We didn’t even hear it ourselves at first, really. But when we looked into the audio data, sure enough, we learned that a significant number English-speaking women tend to begin their w sound with an h. Quite elegant. Today we’re inspired to see that the majority of Moto X users are actively using Touchless Control with a significant number using it more than five times a day. Google searches are the most often used command followed by voice-activated calls. The touchless features are especially popular among our younger users. One of the most frequent questions we received for last week’s Hangout on Air with Punit was whether we were continuing to develop new Touchless Control features and commands. The short answer is yes. We’ve learned a lot in building this software from the beginning, and we look forward to launching future features and commands in the coming months. Let us know what you’d like to see in future iterations by telling us on our Google+, Facebook, or Twitter using the hashtag #motodownload.